A MAN HAS admitted murdering 15-year-old schoolgirl Paige Doherty in Scotland. The teenager’s body was found in Clydebank last March. In a statement released today, Police Scotland confirmed that John Leathem (32) has pleaded guilty to her murder at the High Court in Glasgow. The teenager left a friend’s house on Angus Street, Clydebank at around 8.15am on Saturday, 19 March. She was seen at a local shop five minutes later on Fleming Street. She never arrived for work at a hairdressing salon later that day. 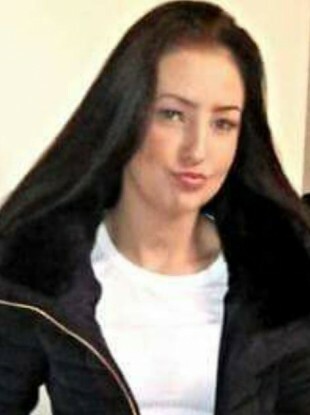 Her body was found near Great Western Road, around 1.6km away from the shop where she was last seen. Sloan said what started as a missing person inquiry “quickly escalated to a murder investigation after Paige’s body was found”. “Detectives from the Major Investigations Team worked closely with local community policing officers and search specialists to track her movements, which led to the final sighting of her at the Clydebank shop two days earlier. “CCTV has been vital throughout this inquiry and officers painstakingly reviewed hours of footage which ultimately revealed that Paige walked into that shop but didn’t leave. This, coupled with extensive forensic examinations of the crime scenes, helped to establish what happened to Paige and who was responsible. I am sure that the sheer weight of this evidence has led to the guilty plea at court today. “These type of incidents are very rare in Scotland and Paige’s untimely death shocked a community to its core, particularly as the man responsible was one of them. “The support from the local community has been much appreciated and I hope that Paige’s family can take some comfort from the result of the court proceedings today,” Sloan said. Comments are closed as legal proceedings are continuing. Email “Man pleads guilty to murdering 15-year-old girl in Scotland ”. Feedback on “Man pleads guilty to murdering 15-year-old girl in Scotland ”.